Google’s long awaited rumored Android version “Oreo”, the first to be named after a Nabisco sandwich cookie, finally rolls out for users. BUT WHY IS IT NAMED AS “OREO”? Oreo made a cluster of specially branded Android Cookies, which include the robot mascot on one side, the conventional Oreo logo on the other, and green filling. The restricted release treats were exceptionally made for Google’s New York event, where they influenced the huge Oreo reveal. WHAT NEW CAN WE EXPECT FROM THIS VERSION? Google has claimed this latest version to be smarter, quicker and more effective than its predecessors. The new elements in Android O incorporate a picture in-picture feature, an Autofill highlight for signing into portable applications quickly and support for Android Instant Apps, which empowers users to utilize applications straightforwardly from their browser without having to install them first. Likewise accessible with Android O are stronger security protection by means of Google Play Protect, Google’s innovation for examining Android applications for malware and other security dangers. HOW TO GET ANDROID OREO? The list of compatible devices include either a Nexus 5X, Nexus 6P, Pixel, Pixel XL, Pixel C or Nexus Player. Then head on to Android Beta Program page set up by Google, and sign in with the same Google account you use on one of those devices listed above. If you’ve got all that lined up, at that point it’s as simple as tapping the “Select Device” button by the picture of your qualified device, consenting to the terms of Android’s beta trying and checking for an update on your Smartphone or tablet. The iOS 11 Beta 7 is released worldwide for developers, which means you can go download it right now. DOES IOS 11 BETA 7 PROMISE TO BE BETTER? The current Beta version is just accessible to developers who pay $99 a year. In case you’re not a developer, you can likewise join the free public beta program; you’ll get a similar update in a day or two, once Apple knows for beyond any doubt that it won’t have any implications on your device. The new features include drag-and-drop and a redesigned multitasking interface for iPad, a new customizable Control Center and more. There’s even a dock, a new app switcher and a Files app so you can launch apps and manage your documents more easily. 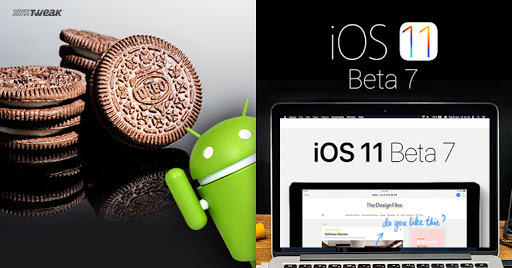 HOW TO GET IOS 11 BETA VERSION? If you’re already running iOS 11, head over to the Settings app of your iPhone or iPad to update mac OS High Sierra, watch OS 4 and tvOS 11 which also received a Beta update today. WHEN WILL IOS 11 ROLL OUT? If Apple follows their regular pattern from earlier years, iOS 11 will be accessible seven days after the introduction of the new iPhone i.e. iPhone 8. The next iPhone is likely going to be announced in early September. Stay tuned for more updates!